BY SIGNING THIS RELEASE AGREEMENT YOU WILL WAIVE OR GIVE UP CERTAIN LEGAL RIGHTS, INCLUDING THE RIGHT TO SUE OR CLAIM COMPENSATION FOLLOWING AN ACCIDENT, PLEASE READ CAREFULLY! TO: H.E.R. Inc. Fun Factory NJ; Owners of Escape Room NJ; the Owners of Pompton Lakes Escape Room NJ; Kids Rule Parties Inc., as defined herein, take place; and all their related and associated companies and their respective owners, directors, officers, employees, agents, representatives, instructors, contractors, subcontractors, sponsors, successors and assigns (all of whom are hereinafter collectively referred to as the "Releasees"). In this Release Agreement the term "Axeholes Hatchet House NJ" shall include all activities, events and services provided, arranged, organized, sponsored or authorized by the Releasees, including but not limited to: axe throwing events, functions and competitions; use of axe and all other related axe throwing equipment; use of premises where the axe throwing activities take place; orientation and instruction sessions; and all other related activities. I am aware that Axeholes Hatchet House may not be supervised or monitored by professional staff. I am aware that participating in Axehole’s Hatchet House Activities involve many risks, dangers and hazards which may result in serious injury or death including but not limited to: improper use of equipment; equipment failure; splinters, cuts, lacerations, fractures, punctures or abrasions; collision with other persons; loss of balance or control; slips, trips and falls; failure to act safely or within one’s own ability; negligence of other persons; negligent first aid and NEGLIGENCE ON THE PART OF THE RELEASEES. I UNDERSTAND THAT NEGLIGENCE INCLUDES FAILURE ON THE PART OF THE RELEASEES TO TAKE REASONABLE STEPS TO SAFEGUARD OR PROTECT ME FROM THE RISKS, DANGERS AND HAZARDS OF PARTICIPATING IN H.E.R. Inc, Axeholes Hatchet House ACTIVITIES. I FREELY ACCEPT AND FULLY ASSUME ALL RISKS, DANGERS AND HAZARDS ASSOCIATED WITH AXEHOLES HATCHET HOUSE NJ ACTIVITIES AND THE POSSIBILITY OF PERSONAL INJURY, DEATH, PROPERTY DAMAGE OR LOSS RESULTING THEREFROM. 1. TO WAIVE ANY AND ALL CLAIMS that I have or may in the future have against the Releasees AND TO RELEASE THE RELEASEES from any and all liability for any loss, damage, expense or injury including death that I may suffer, or that my next of kin may suffer, as a result of my participation in Axeholes Hatchet House Activities DUE TO ANY CAUSE WHATSOEVER, INCLUDING NEGLIGENCE, BREACH OF CONTRACT OR BREACH OF ANY STATUTORY OR OTHER DUTY OF CARE, INCLUDING ANY DUTY OF CARE OWED in respect of the provision of or the failure to provide any warnings, directions or instructions as to the use of the axe or the risks, dangers and hazards of participating in Axeholes Hatchet House Activities. 5. Any litigation involving the parties to this Release Agreement shall be brought solely within the City of Hackensack NJ and shall be within the exclusive jurisdiction of the Courts of Hackensack NJ.  • I hereby grant permission to the Releasees to take photographic or video representations of me during my participation in Axeholes Hatchet House NJ Activities and to publish the photographs and video for advertising, promotional and marketing purposes. • I waive any and all claims against the Releasees arising out of the Releasees use of my photographic or video representation of me, including claims relating to defamation or invasion of any copyright, privacy, personality or publicity rights. In entering into this Release Agreement I am not relying on any oral or written representations or statements made by the Releasees with respect to the safety of Axeholes Hatchet House NJ Activities, other than what is set forth in this Release Agreement. In consideration of the above minor, , being permitted by Kids Rule Parties Inc, H.E.R. Inc., Fun Factor NJ L.L.C., Hatchet House NJ to participate in its activities and to use its services, equipment, and facilities, I, , hereby agree to release Kids Rule Parties Inc, Fun Factor NJ L.L.C., Hatchet House NJ from any and all Claims resulting from the aforementioned minor’s participation in or use of Rage Room’s services, equipment, and facilities and have described the risks and dangers of these activities to the minor, who chooses to participate in spite of the risks. I am familiar with and consent and agree to the terms and provisions set forth in this Assumption of Risk, Release and Indemnification, and I agree to all of its terms and conditions on behalf of myself and the aforementioned minor for whom I am signing.